It is true that your vehicles are drivable without an audio system, but no one actually wants to go without sounds in the car or truck. The audio system is like the soul of your car; without one, your driving experience cannot be complete. The car head unit acts as the command center for the entire audio system. This is the part of the audio system that lets you choose the audio source or the radio channels and adjust the volume or pick a specific piece of music. Think of the head unit as the brains of the entire system. It generates all the audio whether the input is coming from recorded formats, such as CDS or portable drives, or satellite signals, including broadcast and satellite radio. The tuner homes in on radio signals, including standard broadcast, satellite radio and the HD radio broadcasts, which are a fairly new development. The term is a throwback to the early days of audio when drivers had to tune into available signals for their location. These in-dash receivers may be solid-state or all-digital designs with multi-function touch screen interface. 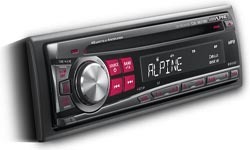 In the process of car head unit installation, consider how you typically use the audio system. If you are a music fanatic and very particular about the quality of the audio, you want to make sure that the equipment provides for bass and treble tone controls and an equalizer already built into the system. Premium systems are engineered for digital signal processing, which enhances sound while providing ambient noise filtering. For disc-based audio sources, today’s equipment typically includes a CD/DVD changer at the very least. Some models are equipped with a hard disk drive that can record material from CDs and DVDs, reducing the clutter in the car. Some in-dash receivers provide a way to integrate an iPod, thumb drive or similar devices, so you can access music from your portable devices. This can be done through an aux-in-jack, but you will have to use the device’s controls to manage the audio. However, if you choose one with a USB port when you sign up for a car head unit installation, the system will charge up the battery on your device, and you can control the audio input from your car head unit. Built-in amplifiers in car head units consist of the preamp that picks up sounds from the audio source and boosts it prior to transferring to the power amplifier. The power amp gives the audio enough boost to move the sound coils on the car’s speakers. First, determine if any car head models are recommended for your vehicle. Your choices will be limited by the space available on the dashboard or the console in your car or truck. Second, consider how you use your vehicle. If you typically use it for long road trips, you might want to invest in a hardy system with excellent sound quality. For family cars, consider a unit with audio and video interface. Joe’s Stereo has been in the business of car head unit installations and other aftermarket auto equipment enhancements for many years. Check out the gallery of our previous projects to find inspiration for your installation. Contact our installation pros to discuss the options for your particular vehicle. Once the automobile’s original receiver has been removed, our experts will first connect the antenna’s wiring to the unit. Subsequently, the technicians can install the red wire and the yellow wire of the vehicle, and these lines are linked to the ignition and the battery. In total, the unit will be connected to 16 wires and a harness, which will prevent wires from becoming frayed and can substantially lower the risk of fires.